Why Doesn’t ABENOMICS Work Any More? | Think the Unthinkable Future. Why Doesn’t ABENOMICS Work Any More? When I wake up at 4:30 a.m. these days, I feel the winter has already come in Tokyo. Even though the temperature during the daytime still goes up to even more than 25 degrees Celcius here, it’s really cold in the early morning. Due to the on-going climate change worldwide, the volatility of climate in Japan has become more and more wide along with one in the financial market. Without taking care of immune system, it’ll be surprisingly hard for you to survive in this winter. Among the Japanese, it must be extremely chilly to Prime Minsiter Shinzo ABE for the several reasons: First of all, the latest approval rate for his second cabinet has just dramatically fallen to 47.9%. Although he tried to pick up as many female colleagues as possible and let them in his new cabinet, some of them already suffer from scandals. 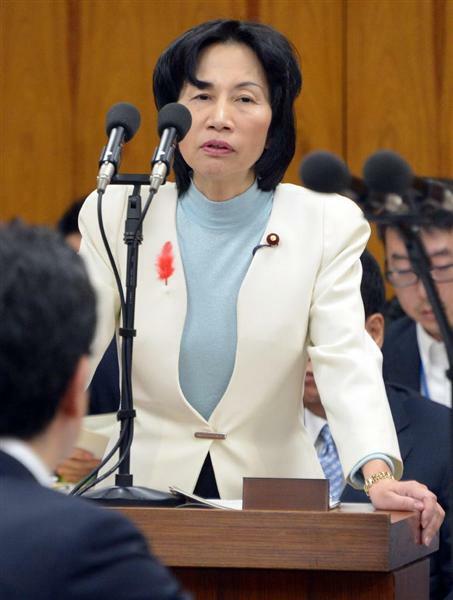 That clearly shows Prime Minsiter ABE is lack of capability of risk management with precautious measures, which was quite famous during the former KOIZUMI cabinets, by the way. Secondly, his policy has been concentrating too much on the stock market. Prime Minister ABE pretends to believe as if there were so-called “three arrows” in the ABENOMICS, there is only one which matters: massive quantitative easing by the Bank of Japan. Without preference to fostering the real economy with brilliant ideas, his cabinet just follows what the financial authorities. Of course, Prime Minister ABE always travels around in the world to sell his ABENOMICS to foreign colleagues. Nevertheless, it’s not words but results that matter for the international community. Without pushing forward industrial innovations, which are, of course, very good for the real economy, his cabinet just inflates the Japanese economy. That obviously leads to speculation of foreign financiers in terms of the real intention of Japan. – Increase revenue by growth of real economy. – Get forgiveness of both domestic and foreign investors. – Get into war economy. The most modest one is the first option, even though it’s actually difficult to accelerate the growth rate while preventing the long-term interest rate from rising simultaneously. When you look at Prime Minister ABE’s policy for economic growth, you can hardly find out those measures that can really work both immediately and fundamentally. Thus, this first option is abandoned from the very beginning of this story, while Prime Minister ABE doesn’t have obviously any personal and feasible ideas to innovate the Japanese real economy. The difficulties of the second alternative is quite apparent, when you see a series of Argentinian default these days: Foreign investors never give up their entitlements for the sake of some nations’ future economy. Instead, they continue to attack them until they will give up to accept full payment. What governments can do is only to prepare reasons for begging forgiveness. All the things that the ABE’s cabinet has been doing are regarded as such preparations at least from the viewpoint of foreign investors. Whether the latter will cooperate with the GOJ in the moment of the truth, remains unclear. Thanks to the famous ninth article of the constitution (abandonment of warfare), Japan can’t take advantage of war economy, while other western countries love to do so. For example, Japan never declares to dispatch her self-defense force for combatting the Islamic State, while sympathizing with the self-proclaimed “coalition” led by USG verbally. Now, you can realize the above shown third option will be the most realistic one Prime Minister ABE can choose for the time being. To hyperinflate the economy for making all the sovereign debt less valuable is good for the Ministry of Finance, but too bad for people on the street in Japan. Foreign investors are quite aware of what will happen then and has just begun to rush for sell-off of Japanese stocks. The people in Japan still believe Prime Minister ABE is capable of showing his own initiative to lead the nation. However, the reality is opposite to such an expectation. He is rather good at coordinating others’ interests for teaming up. Except for his preference to conservative ideology especially in security policy, Prime Minister ABE isn’t famous for his own political ideas and initiatives so far. 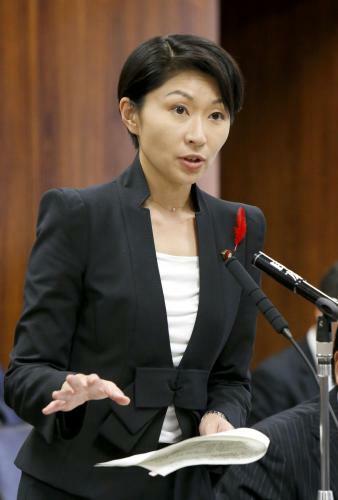 Now that Ms. Yuko OBUCHI, Minister for Economy, Trade and Industry, declared her resignation, ABE’s latest initiative called “WOMANOMICS” looses its credibility and is to be criticized as unfair nepotism of women from traditional power houses. I suppose there is only one option for Prime Minister ABE to survive: Convincing both the Japanese people and the international community of his sincere initiative for innovation to boost the real economy. In this regard, I hinted him through his most reliable person of a decisive idea in terms of detoxifying tritiated water of the first nuclear reactor in Fukushima. Prime Minister ABE is said to have ignored this idea in Milan at first hand, however, will understand gradually what effect it has for his political survival. I myself am always prepared to talk to him directly, if he wishes. Waiting for his phone call, I’ll just take a rest and relax for a while.